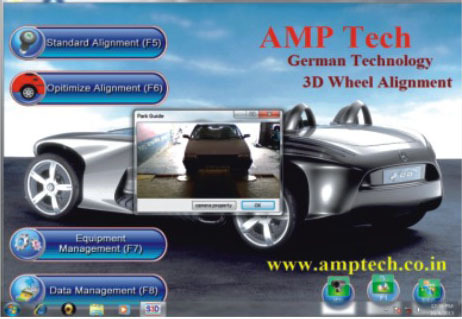 Being eminent business organizations, we are wholeheartedly betrothed in the business of delivering to our clients a world class gamut of S2H Standard 3D Wheel Alignment Machine. Ruggedly developed and designed, these are made in tandem with the predefined standards mentioned by the industry experts. Also, these are well examined before getting shipped at the premises of our patrons. We are supported by a team of skilledpad-manufacturing-suppliers-pune-india executives, highly betrothed in providing to our patrons a top assortment of S2H Standard 3D Wheel Alignment Machine. Made up and developed readily, these are wholeheartedly recommended owing to their rugged built, exceptional finish and robust resistance. In addition to this, these are well examined before getting dispatched at the premises of our clients. Onsite Auditing & easy to maintain. No need of water leveling of camera boom. No necessary of foundation, it’s optional to user. You can relocate your machine as per your need. 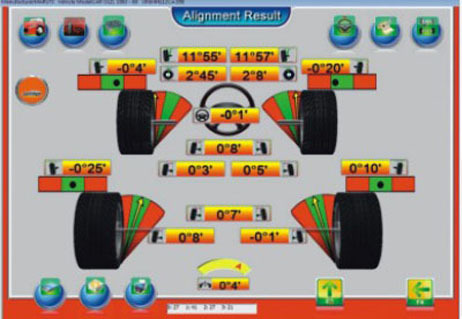 Special Feature of 3D Wheel Alignment Compare to Other Machine. We provided password option, so that without password no one will access your database i.e. change, delete, modify vehicle data/ machine settings. We provided drive on camera facility, it helps operator to park the vehicle on ramp without anyone assistance. 3D wheel alignment machine software execute from D:/drive, hence even if you format C: /drive your data will remain safe in D:/ drive. We facilitated in such that you can view front/rear all readings in single window i.e.camber, caster, KPI, thrust angel and steering adjustment, It saves operator time. F11 key will help you to find the fault, if you get any difficulty while doing wheel alignment. 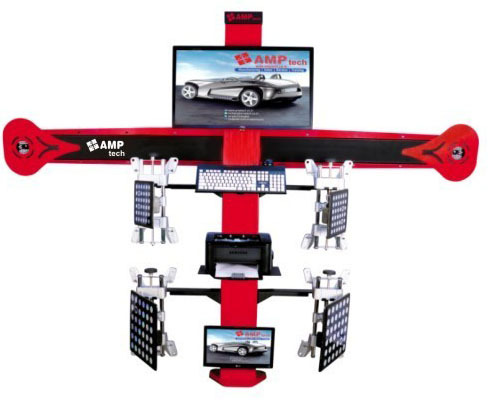 it will show the image processing of 3D wheel alignment machine. This feature helps operator in adjustment of steering wheel to exact center position, like there is no necessary of removing steering out and fit it back after alignment, software guide operator. 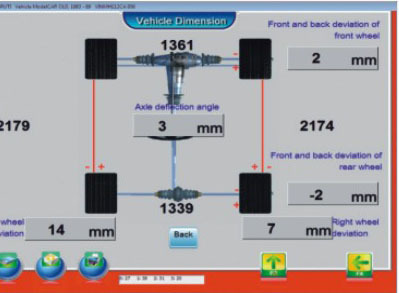 This feature help operator to know the vehicle dimensions, by this dimensions we can conclude that weather vehicle is fit for alignment or not. Is it accident/any wear in suspension or shifted with center line. 3D wheel alignment machine targets are non breakable and water proof, are made of alloy metal. 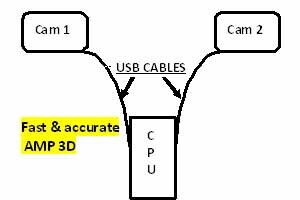 Cameras are directly connected to the CPU, there is no any additional devices Black box / Hub in between CPU and camera. 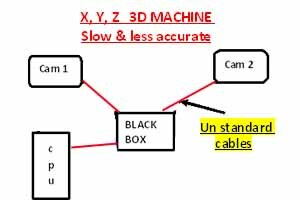 Machine is calibrated at the time of manufacturing, there is no need of calibration while installation of machine at customer place. No Water level tube in any targets, fit it and forget it. Check your vehicle dimension to know wether they are correct or wrong. If your vehicle dimension are not correct, vehicle consumes more fuel, Tyre wear occurs, Suspension wear, Un comfort in driving. If you repair or installed suspension, like shock absorber, pata It is compulsory to check vehicle dimensions, to know there correct position. If you want to buy old vehicle you should know vehicle dimensions are in within limit, where it is accident vehicle? 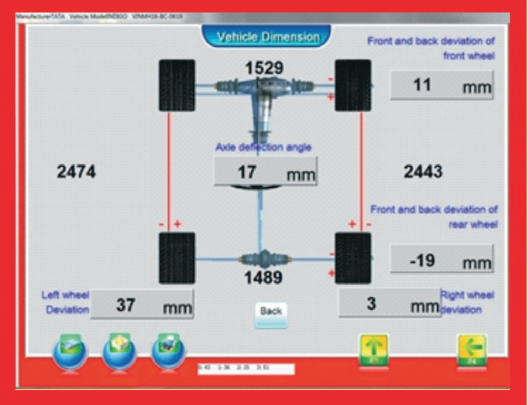 Do your vehicle steering alignment, means your vehicle steering will be at center position with respect to front wheel. It improves yours driving comparability. Once you set your vehicle steering zero on this machine, until your repair your front wheel suspension you get same result. It save your time & money, when you come for the next time wheel alignment, and also there is no need to pull your steering out and repositing it.